Tips for safe construction of Hybrid Cloud focuses on the solution on a specified cloud management system which connects the private with the public cloud. You want to power your existing system with Cloud Computing. You can not compromise with security, so its not possible to go directly to Public Cloud, in the same time private cloud might put some boundaries or you do not want to move or can not move all the data to another brand’s server. Its matter of fact, your existing infrastructure will be a wastage if you do not use them. 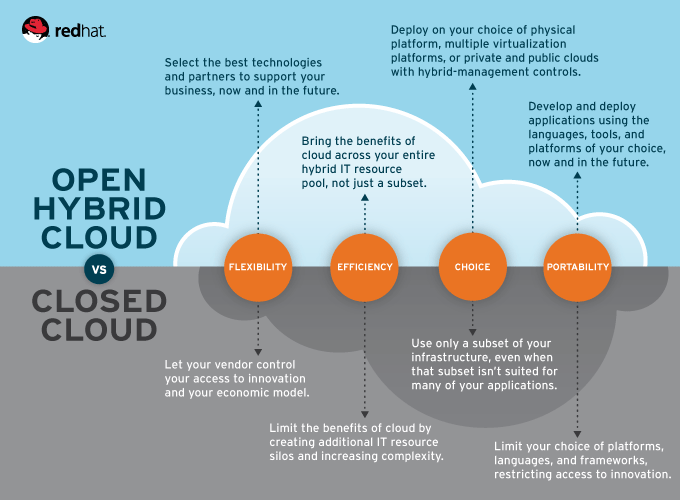 Here is where the concept of Hybrid Cloud Computing comes. Although, this article on tips for safe construction of Hybrid Cloud is targeted for the advanced users; new users can easily get started to understand the basics of hybrid cloud by reading the above linked article and other in-depth articles like Hybrid Cloud is the Future Not Public Cloud or the practical probability of productive usage in certain areas – Hybrid Cloud and the Era of Startup. There is more basic article like How Hybrid Cloud Computing Works. After this introduction, let us move towards the major focus of this article, which is quite precise – Tips For Safe Construction of Hybrid Cloud. Setting the goal, in the context of Hybrid Cloud Computing important; as hybrid cloud is both costly and technically difficult to get starting with. The hardware solution on the specified cloud management system connects the private cloud with the public cloud, providing a unified management platform that allows an organization to configure their hybrid cloud solution in all areas according to their own business requirements and rules. A single mouse click can be, for example grant individual access permissions for applications and data to allocate or set up virtual workgroups, or it can be determined which processes should run in which cloud. In this way, companies can take the advantage of public and private cloud individually combined with each other and benefit from the advantages of a flexible IT infrastructure. This Article Has Been Shared 3338 Times! Swiss cloud could be the right choice for those who want to rely on a structure of distributed computing in the cloud, while having control over data security. Cite this article as: Abhishek Ghosh, "Tips For Safe Construction of Hybrid Cloud," in The Customize Windows, January 20, 2014, April 25, 2019, https://thecustomizewindows.com/2014/01/tips-for-safe-construction-of-hybrid-cloud/.